Should I change hexa frame into Y6? How to make Mini OSD to monitor higher voltage? "I solved problem. I configured Y6B and connected to 1,2 / 3,4 / and 7,8. It can fly now." Duy Pham replied to Randy's discussion ArduCopter-3.1 released! "Randy, Yes, I did. This is the image of radio calibration screen. Every times I arm, the servor/motor out is 1110 and motors spin, I do not know why. I am using APM1.4 2056 Atmel. In the past, it is ok, I am testing for my new octa.…"
"Hi Randy, Does the min throttle out in recent version fixed to 1110? I am using wii esc firmware and it fixed to 1050-18xx. 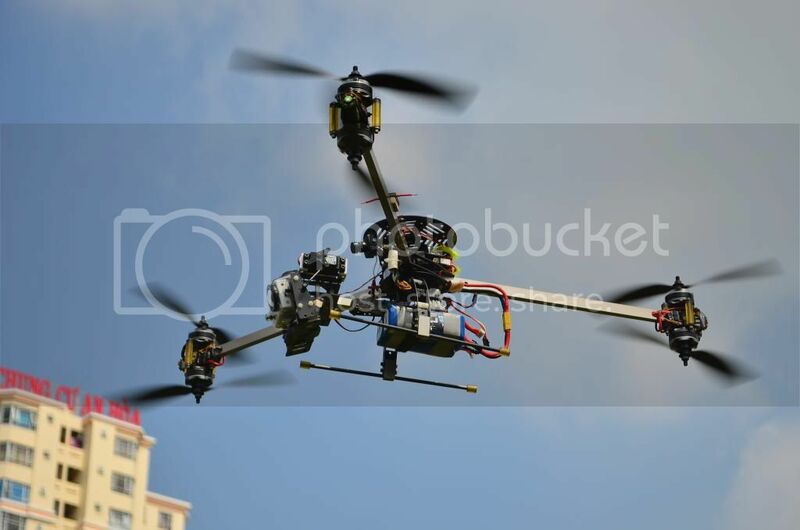 So every times I arms the copter, the motors always spin. Will I change the esc firmware or is there any way to configure…"
"I want to move from my H-quad to Y6, for reasons of redundancy. From the photos above, it seems that your Y6 is not weight balanced in relation to the geometric center. Isn't this important ? What's your FC ?" "Sometimes the copter loose the yaw, it twisted to left for about 90 degree. I flow in alt hold mode and did not touch to throttle & rudder stick but sometimes it lost its direction. Could someone tell me where is my issue? Thanks, -Duy"
"Sure, I will. This log is not much for the issue. Thanks Randy for spending time on my issue. -Duy"
"my log about the issue has gone :(. I thought there is some conflict with my configuration so I erased all and load firmware again. I just have the last log of my hovering. Here it is:"
"Yes, the raw data above is from my last hovering. Let me explain for the last automatically landing. I just flied in stable mode, when I adjust throttle for hovering, the copter was down and land, then it disarm as well, I could not arm it again…"
"I got your idea here. I flied in stable mode. I am not sure what throttle is. 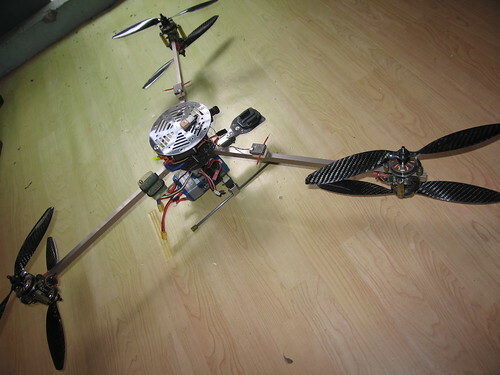 My copter is take off and hover at about 46%. I think this issue should be fixed. 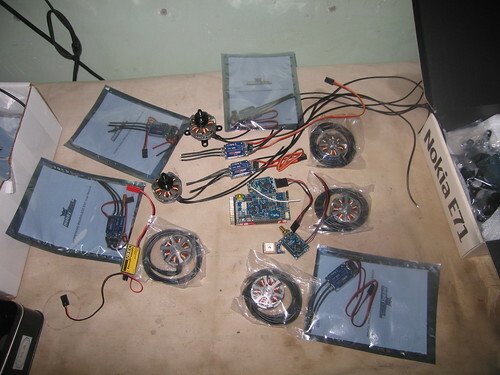 Thanks again for your information, -Duy P.s: This is my Gyro and Accel data when hovering"
"Hi, I flied my Y6 about 1,5m-2m height at home. And sometime, it automatically landed for unknown reason. I was disable battery fail-safe. Could someone tell me why? I happened to me 2 times. The code is 2.90. Thanks, -Duy"
"I tested the new release at home and it worked like a charm. The altitude hold also worked great, I tested it just a little at home. However, when I brought my Y6 to stadium to fly, the calibration got wrong, I do not know why. Does the calibration…"
"Thanks for quick reply. I got the idea of new calibration here and I will correct it as your suggestions. Thanks again, -Duy"
Payload without Gopro is about 2kg. And hover current is 17A. Please remeber that, as per DIY Drones rules, questions should be posted on to the forums rather than the front page blog. The blog is reserved for news, project reports and other such informative content. 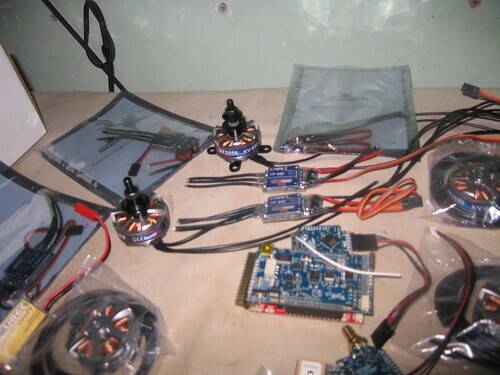 I have heard many people said about reflashing ESCs to increase rate response so that the copter get more stability. But this process is not quite easy especially in soldering small wires on ESC PCB and the new firmware cut off some functions. Could some one tell me if this is worth or not? And if yes, does the throttle calibrate function work after this? if No, how to do?